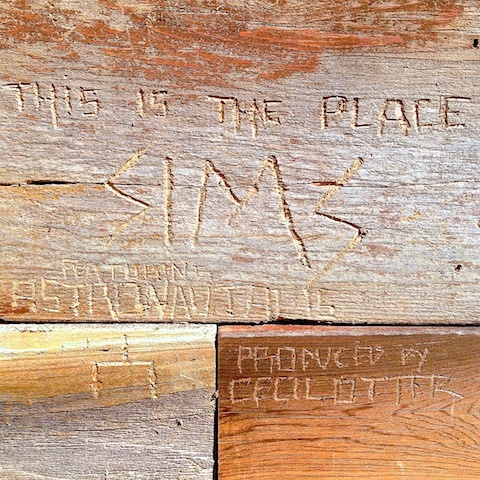 Minneapolis based rapper Sims released a brand new track “This Is The Place” featuring Astronautalis. Listen to it below. The song is on his forthcoming album and is currently available via iTunes. Sims and Astronautalis will be co-headlining the First Avenue Mainroom in Minneapolis, MN on June 14th with Mixed Blood Majority and Greg Grease opening the show. The Minneapolis native cut his teeth in the same musical scene as punk outfit the Replacements and current hip-hop phenoms Rhymesayers, and joined hip-hop collective Doomtree, which also features Dessa, Cecil Otter, Mike Mictlan, Paper Tiger, Lazerbeak and P.O.S. Dessa is another Doomtree member who will be releasing a record, as her third release Parts of Speech will be out June 25th. Her tour begins July 8th. She just completed a tour of the Midwest and East Coast.